Located about one hour away from London by train, thanks to a mobility project started about ten years ago, the county town is gradually abandoning cars for bicycles. In fact, the four-wheeled vehicles have only one entrance to the city, whereas the bicycles are allowed to circulate freely all around the city centre, which is pedestrianized and bicycle-friendly. The “motorized” access is allowed just to public transport and cabs, with special licenses which succeed in lowering the many mobile road humps placed for speed control. Basically, you shall not pass without permission. 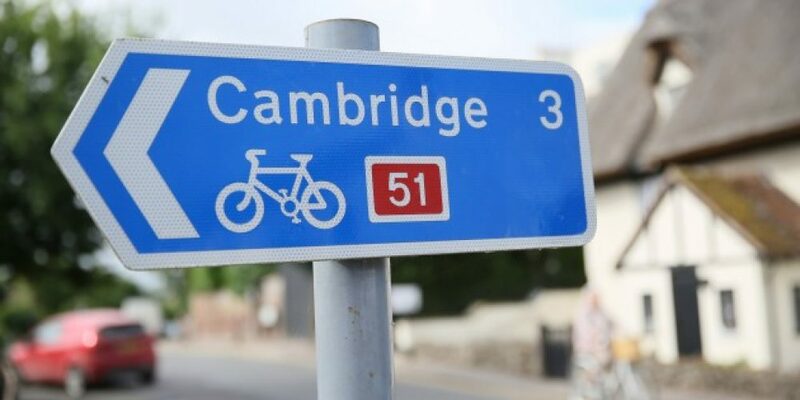 In Cambridge’s streets, the speed limit has been lowered down to 30 km per hour (20 miles), with the very purpose of promoting the slow movements. Thanks to all these devices, the city centre seems come back to life. The inhabitants moves off more, because the air quality improved and it is easy to move freely in a place where cars are banned and where there is no longer any parking problem. Even the businesses in the area got benefit from the bigger stream of circulating people, by increasing the profits. Moreover, many shops are indeed dedicated to the bicycle world: in Cambridge we go from the second-hand bicycle dealers to the laboratories running up the most colourful and original seat covers; from the bike repair shops to the theme cafés; from the shops selling every kind of bicycle at any price to the ones selling accessories and kid-car bike trailer (already widespread trailer, laboured for children safe carriage). In the United Kingdom, according to the data published by the Office for National Statistics (ONS), during 2013-2014 a real boom in the cycling business has been reported: +70% for production and selling of bicycles made within the UK. The selling reached 60.2 million pounds in 2014, increasing as regards 35,6 million pounds in 2013. And the demand for British bicycles increased exactly in the year during which the Tour de France started in the Yorkshire and carried on with a stage of 155 kilometres, the third, from Cambridge University to the centre of London.